Taoism is a philosophy born of the key book Tao Te Ch'ing -also known as Tao Te King-, a work of Lao Tzu dated from the 6th century BC. There are three major philosophical-religious systems dominating China's long history: Taoism, Confucianism and Buddhism. Its concept, the Tao, refers to the essence of the universe, it is the natural order of things and governs existence. The history of Taoism is difficult to understand. This philosophical-religious system was formed over the centuries, gradually integrating different streams from Chinese antiquity, whilst Confucianism and Buddhism are directly linked to a founding character, which allows them to be located in time. The discovery during archaeological investigations of ancient versions of the Book of the Way led to the conclusion that, like most classical Chinese writings of the ancient period, it is not the work of a single author, and that its text has evolved through successive compilations. 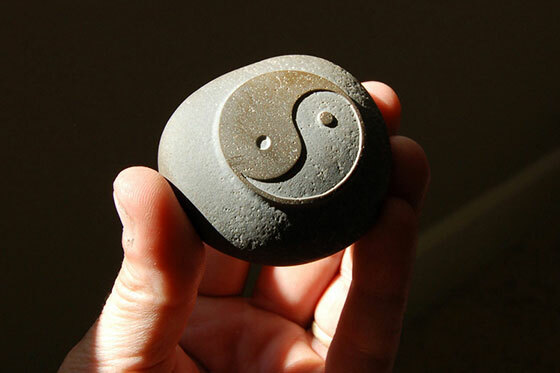 Taoism, which at first appeared as a stream of philosophical thought, that of the Absolute as a Way (Dao or Tao, from which the spelling 'Taoism' is derived), started organizing itself as a religion in the middle of the 2nd century AD. 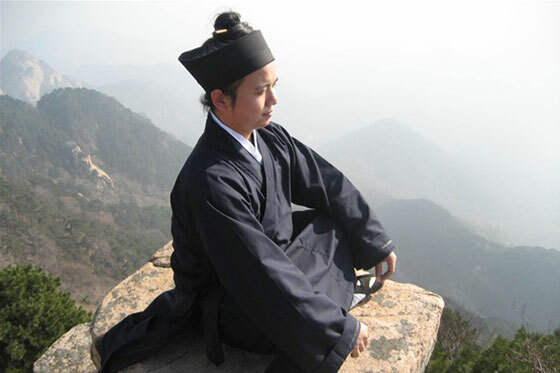 During its 2,000-year history, Taoism evolved in response to changing times, with its doctrine and associated practices being revised and refined. 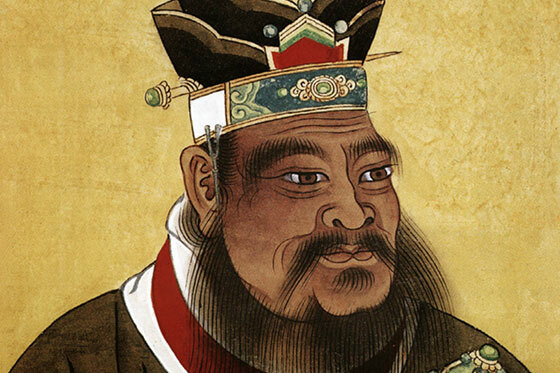 From the Han-dynasty onwards, Taoism was defined in relation to its rival, Confucianism, although these two streams of thought were rather complementary than antagonistic. Throughout the ages, Chinese scholars have perceived them as two different ways of achieving the same goal throughout the ages: wisdom for oneself-Taoism- and society-Confucianism-. Each of them is effective in its own field, and, as the saying goes, one can be "Confucianist by day and Taoist by night". From the first century onwards, the introduction of Buddhism seduced the literate, however, Indian ideas were wrongly assimilated to a form of Taoism, and Confucianism, Buddhism and Taoism influenced each other to the point that it often became difficult to distinguish between them. 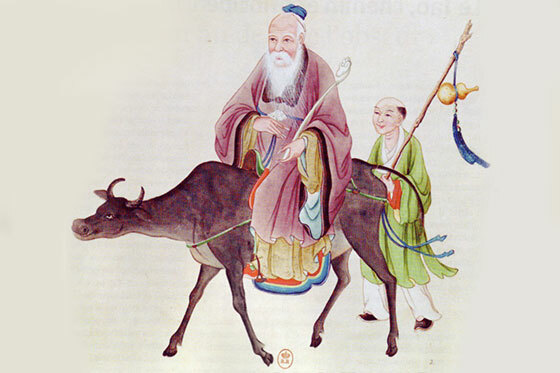 Though the term "three teachings", the Chinese differentiation of syncretism is often focused on how well Confucianism, Buddhism, and Taoism have been able to coexist, to exchange in harmony and also to avoid most of the time religious wars which ended into influencing struggles with the emperor. Throughout Chinese history, evidence has shown that each practice has dominated, or risen to favor, during certain periods of time. Emperors would expect to be supported by all the three, and in turn would formalize one or the other, provoking an objective alliance of the other two. Towards the end of the imperial era, Taoism was attacked as the heart of everything that Chinese culture included in terms of superstition, feudalism and retarded. Anti-religious policies targeted temples, without which there is no Taoism, and taoshi, in the last years of the 19th century. Rituals were prohibited and persecution was widespread. In China, the search of wisdom is based on harmony, which for the Taoists is equivalent to returning to the authenticity of nature. By imitating a fertile passivity, by placing heart and mind in this Tao-path, mankind can free itself from social constraints, and rediscover carelessness, spontaneity and individual freedom. 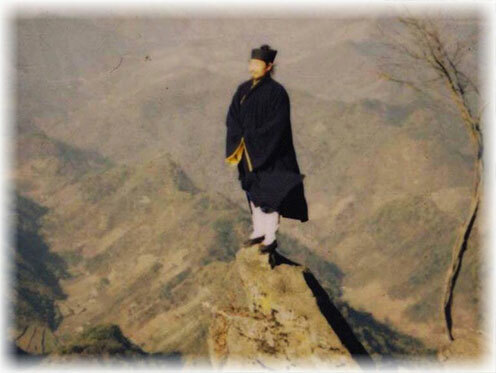 To achieve this, a Taoist can flee the city and retreat into the mountains, or live as a peasant. 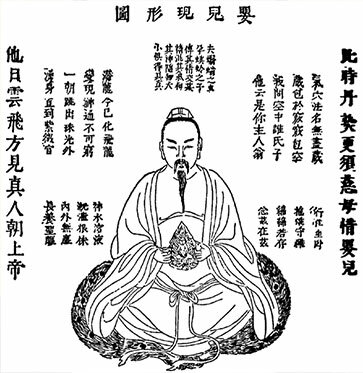 Confucius refers to those who assume responsibility for life in society and aim to improve it (Confucianists) and those who consider it impossible, even dangerous, to improve society, which is only an artificial framework preventing the natural things from pursuing their course (Taoists). 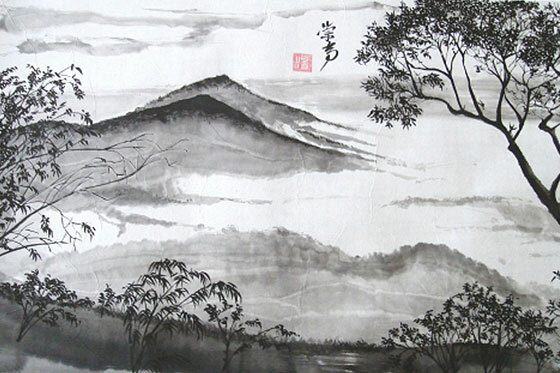 In his book called Zhuangzi, Zhuang Zhou illustrates this antagonism, with the edifying story of the twisted tree, whose carpenter cannot make any boards out of it, and will have to spend his good life off the road, while the straight tree will be cut down and then sold by the lumberjack. 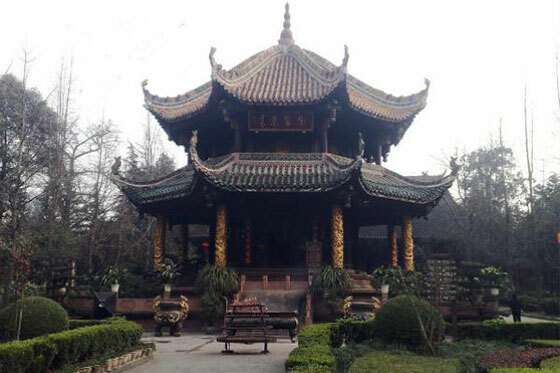 According to Zhuang Zhou uselessness is a guarantee for serenity and long life. It is wise to be useless, empty, lacking qualities, transparent, to "vomit one’s intelligence", to have no prejudices and as few opinions as possible. Having emptied himself, the wise man is fully available and allows himself to be carried away freely, like a dead leaf to "romp in the Way". "The wheel rotates by the vacuum of the hub. The jar contains much more as it is hollow. Without the holes in the doors and windows, what is the purpose of a house?". It can be summarized by "full" as a means and "empty" as an effect. Social uselessness, the liberation from all worldly worries in the world, are the most common aspirations of the Taoist way. However, to achieve this liberation, it is not necessary to withdraw from the world "it is without leaving home that we know the world", "it is not by not knowing that we know", "it is when we act the least that one’s action is the most effective", "weakness is stronger than strength", "stupidity highlights the supreme intelligence", "civilization is a decadence". The purpose of these paradoxes seems at first to break any logic, but it is also a way to bring efficiency well away from an empty mechanism. 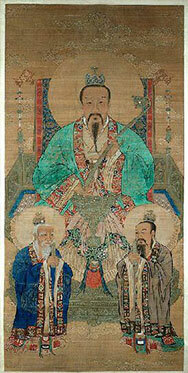 Zhuang Tzu and Lao Tzu’s works can be read as enigmas. During the many centuries of Chinese tradition, the meaning has never been exhausted. The calendar has a ritual cycle highlighted by solar feasts, notably the equinoxes, which were paradoxically preceded by fasting periods. Many of the literature has been written on these orgiastic feasts. 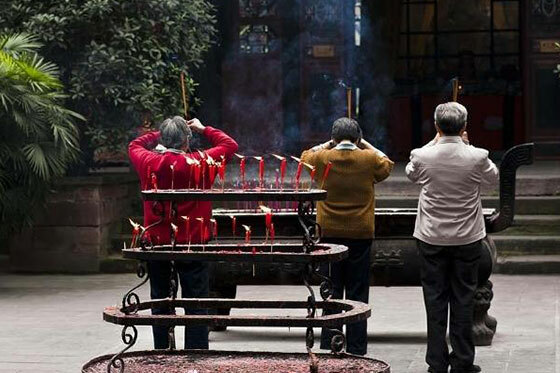 In some areas, Taoist churches kept civil records, and celebrated births, weddings and deaths. 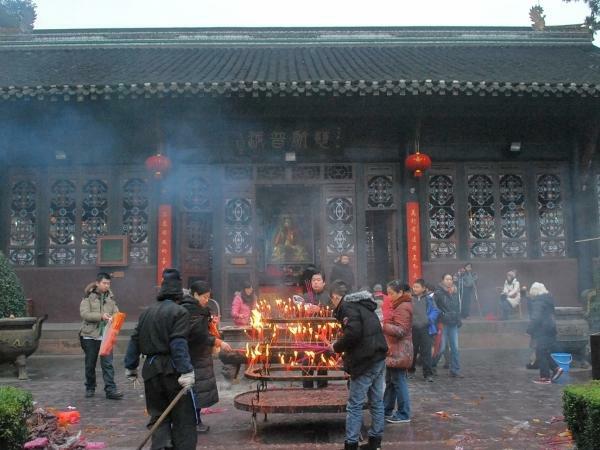 Unlike universal salvation religions, Taoist rituals were not strictly fixed like an exportable recipee. Life feeds on the dead, this is how the Taoist practitioner feels it and wonders above all: how can I become immortal by eating things that are going to die ? According to Marcel Granet (1884-1940), specialist in ancient China, "to increase or only preserve one’s vitality,[the practitioner] must follow a diet in line with the rhythm of universal life. All these techniques result in a systematization of the seasonal rules of rustic life, the main law of which was to alternate joyful activities with times of famine, restriction and constraint. Hence the idea that fasting means preparing the body for fresh food. The deprivations, - which were far from wanting to macerate the body - aimed only at purging the body from all poison, evil spell/curses and death germ. The aim being not to mortify oneself, but to invigorate oneself". The Taoist attempts to hold his breath as long as possible - this creates an apnea with psychotropic effects. The air, the qi, is considered as being the internal energy of the body- by doing breathing exercices the Taoistd regenerates his matter, by representing mentally the feeling of air in his body. 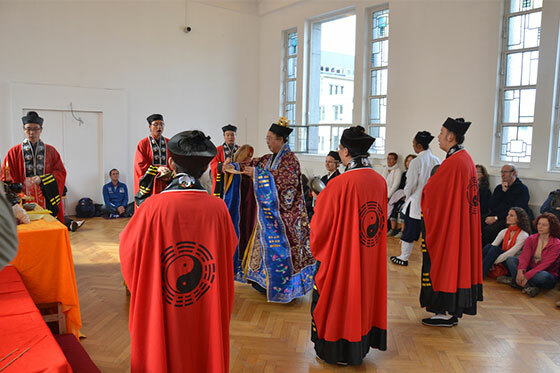 In contrast to monastic religious practices, a Taoist can be married, filial piety and the Chinese cult of descent is respected. Sexuality is not repressed, but sacralized, especially by the yin-yang complementarities that symbolically nourish the vital principle. Echo to the particularity of the Chinese breathing technique, apnea and retention, this mode is applied to the act. The treaties extend to recipes for preserving the essence. However, moderation is recommended in everything. Before discovering the way, the follower practises a charity close to that of Christianity "you shall not kill, you shall not steal". The fault is not transmitted from father to son, or by rebirth. Forgiveness and redemption are possible, the very precise evaluation of faults and good deeds corresponds with the code of offences and penalties, revealing the representations and social order. Thus, one can make up for it by repairing a hundred steps on their route, or by providing useful rice and meat to free public inns. For a Taoist, a bad action means fewer days of life, and when death comes, it is too late. A good traveller has no fixed plan. It's not the arrival that counts. Simplicity, patience and compassion are the greatest treasures. Large acts are made up of small contracts. If you come to the realization that all things change, there is nothing you can do about it. If you are not afraid of death, there is nothing you can't achieve. Nature does not hurry, yet everything is accomplished. 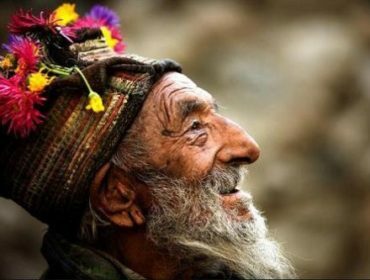 Be happy with what you have. When you realize that you do not miss anything, the whole world is yours. Being loved by someone gives strength and courage. How could man rejoice in the victory and death of men ?